North Ave. and Wells St.
Peter Koster was born in 1815 in Thailen, Prussia. He married Maria Zimmer on 15 October 1840 in Canfeid, Wadern, Soaarland, Prussia, where she had been born 27 May 1813. The Koster family settled in Chicago circa 1846. Per the Chicago City Directory, by 1855 the family was living at North Ave. and Wells St.
Maria (September 1976) and Peter (27 February 1884) both died in St. Joseph, Buchanan, Missouri where they are buried in Mt. Olivet Cemetery. For further details, contact the Chicago Genealogical Society. 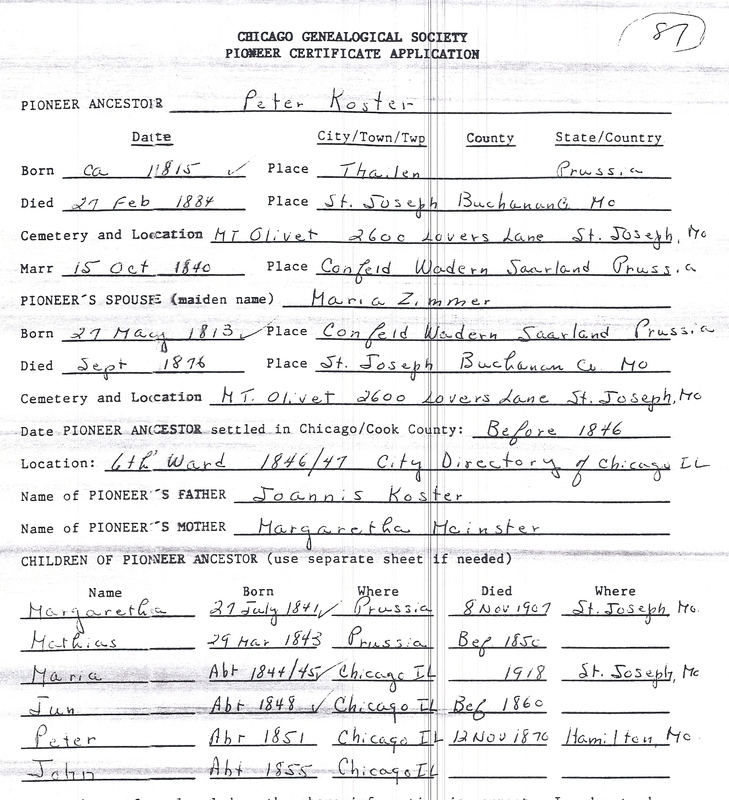 Peter Koster is Pioneer Ancestor number 87.